Click to vote for Team Cheaters! 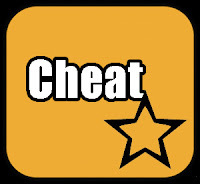 Do you like to cheat in games? Or do you hate us cheaters? :p Vote and let me know! Let the 2 sides duel it out. FIGHT!! Also, go ahead and make your own duels (Pet Society vs Ninja Saga or wadever).